Recently my skin has become very dry but only on my forehead. I put it down to cold weather but it has been 2 months now since the cold weather ended and yet my skin has not improved. I wash my face twice daily and use a daily wash which is not perfumed or contains soap. I apply extreme amounts of moisturizer after (again it contains no perfume or soap or chemicals). Many things including cold weather, hormones, cosmetic products and diet can have a negative effect on our skin. But not to worry Nicole because skin can be repaired and restored given the proper ingredients. From what you've written, it seems you've tried to find products that would not have an adverse effect on your skin, however, I must tell you that 95% of the commercial products on the market today have a number of chemicals in them. Yes......even the ones toted as "hypo-allergenic and pure". I encourage all of my clients to become "label readers" so they can truly make the best decision on what to put on their skin. 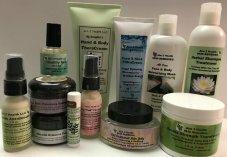 Throughout this website you will learn about which of these chemicals to stay away from and the type of damage they can do to your skin and body. My strong recommendation for you Nicole is to keep it simple by using two of our deep penetrating products. The first is our FACE & BODY WASH which will leave your skin highly moisturized even before you apply any cream. Next, use twice daily, our FACE & NECK THERACREAM, applying a thin layer only. Nicole, you mentioned that you apply extreme amounts of whatever moisturizer you are presently using and I have to tell you that it most likely contains mineral oil or some petroleum by product. Mineral oil is absolutely horrible for the skin, and the molecules are much too large to even penetrate the pores of the skin, so it sits on top of the skin not letting any moisture in (suffocating the skin like plastic wrap). This accounts for the need to "keep applying lots of cream"! Please keep me posted on your progress Nicole. Dry , Red And Itch Dry Patches With Bumps ! I have overall oily skin during summer and dry skin during winter and my face is always the area that I have the most problem with, easy to breakout. I used Proactive for 10 years until two years ago, once I stopped using it the breakout was bad. I then used Teatree oil - not sure if I overly used it my face becomes dry, red and itches with dry patches and bumps. I am very concerned. I have noticed if I put oil on my face the itch will stop and the redness will start to go down but there are still bumps and still redness, any suggestions? Comments for Dry , Red And Itch Dry Patches With Bumps ! Response To: Dry , Red And Itch Dry Patches With Bumps ! Having oily skin during the summer and dry skin during the winter is actually a very common problem for a lot of people and it can be quite frustrating as the body is reacting to the environment. You mentioned using Proactiv for 10 years. For our website viewers let me say that this product contains benzoyl peroxide as one of the main active ingredients. Benzoyl peroxide may cause dryness and peeling of the skin. Approximately 5 percent of the population is allergic to it: reactions may include redness, itching, peeling, hives, swelling and a burning sensation after topical application. Benzoyl peroxide may also cause increased sensitivity to sunlight. Benzoyl peroxide works as a peeling agent, increasing skin turnover thus reducing the bacterial count. It is not uncommon for users of this product to break out with problematic symptoms when they discontinue using it. This is called a "rebound effect" and many times a condition returns in a "worsened" state than before using the product as the skin had become dependent or addicted. You also mentioned using Tea Tree Oil which is a very potent oil which should not be used directly on the facial skin. It can cause the irritations you spoke of. Further, what the skin needs for repair and restoration to a healthy and balanced state is moisture and not oil. Our products work in a completely different way than most. The skin actually has seven layers of skin, and our products penetrate through these seven layers of skin, to unpack any dry, oily, or damaged cells to repair and restore the balance that is lacking in the skin. They are able to this because they are all natural and have the right formulation of ingredients. I highly recommend that you wash with our FACE & BODY WASH which is a hypo-allergenic and gentle wash which contains absolutely no chemicals or ingredients that can be toxic to the skin and will help bring your skin in balance. Then apply our FACE & NECK THERACREAM which is a deep, moisturizing and penetrating cream reaching the 7 layers of skin. It will promote optimal functioning of the skin processes helping to restore your skin while stopping any itching, reducing inflammation and redness and provide anti bacterial protection as well. So I'm 14 and it's winter so it's really cold, and my skin is always flawless but I have this dry patch on my forehead and my nose, what can I do to keep it moisturized? 1) Wash your face twice a day (morning and night is best), with our FACE & BODY WASH which is a hypo-allergenic and very gentle cleanser. It contains lots of wholesome ingredients to begin moisturizing your skin. 2) Apply our FACE & NECK THERACREAM (also twice daily) and focus on the dry patches on your forehead and nose. This specially formulated cream will quickly penetrate the 7 skin layers and unpack any dry, accumulated cells from the bottom up and fill those areas with much needed moisture. Follow this plan Felicia and you will have smooth skin once again and keep me posted ok? Dry Winter Skin.....Itchy and Blotchy! 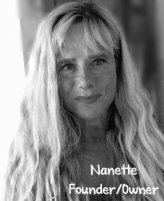 Hi Nanette, My husband had really itchy blotchy skin that would appear during the winter months. It was only on his lower half all over his legs and on his bottom. He would scratch the red blotchy rash until he bled. I had a skin problem too! Nothing I used would stop the horrible itching I would experience all over my body during the dry winter months. I would get red and blotchy and at times even bleed from the scratching I would constantly do. When I spoke to you I didn't think your recommendation would work (partly because it seemed so uncomplicated) but I tried it anyway. Well, let me tell you that the itching stopped immediately for both my husband and I and the red, dry, blotchy skin was gone in a total of 3 days. I will never doubt natural remedies again and I will eternally be grateful for your advice. Lately my skin has been itchy ever since winter started and this is the first time though. It stated almost a month ago and I'm thinking it's my bed sheets because every time I wash them I put them in the dryer and after the dryer it goes on my bed. And so I'm thinking it has to do with this because every time I take them out the dryer my bed sheets have static on them. So do you think this has to do with anything? Actually, itchy skin syndrome can occur at any time in our lives, even if we've never experienced it before. Winter time can bring on a lot of challenges to our skin and certainly bed sheet fabric, laundry soap, dryer sheets and even dust mites (which are very tiny, spider-like creatures that make their homes in mattresses, pillows), can cause or worsen this condition. Follow these recommendations daily and your winters will be itch free with wonderfully healthy and moist skin. Does urea also exfoliate the skin? Yours is a very good question. The answer is "yes", urea most certainly exfoliates the skin and I will explain how. Actually, urea is a compound naturally found in the human body and exists in every HEALTHY cell. Found in the surface layer of the skin (epidermis), urea plays a vital role in maintaining the skin's moisture balance and the suppleness of the skin. When skin problems arise or simply in the natural course of the aging process, urea in the cells becomes deficient. As a result of the reduced levels of urea, the water binding capacity of the skin is decreased and moisture is lost. This leads to roughness, tightness, scaly or flaky skin and irritation. Without necessary moisture drawn in by the urea, cells become dry, caked and hardened hindering the natural cell replacement process - thus the need for exfoliation. All of our urea creams cause hard, dry skin cells to "unpack" and expose their water binding sites, thereby enabling the cell to absorb and retain additional moisture while at the same time preventing water loss in the skin layers. If the skin is very dry and scaly, a large amount of the cream is taken up by the horny layer in order to restore needed moisture and bring back the skin's balance in disposing of dead cells and replacing them with new and healthy for wonderfully vibrant skin. As research studies show, urea replenishes the water content of the skin because it binds hydrogen and attracts moisture to the skin in a way that no mineral oil or glycerine-based lotions or creams can. In the many years of laboratory studies researchers discovered that, unlike just about all other types of moisturizers that contain high levels of pore clogging mineral oil that simply sits on the top layers of the skin and do nothing to improve, urea actually increases the water-binding capacity of the skin by opening the 7 skin layers for hydrogen bonding, which then attracts moisture to dry skin cells. But not all urea creams are alike! I tell my clients to become "label readers" and to stay away from the many products that are on the market today that contain a cocktail of harmful ingredients. Some companies will even "sprinkle" in a little urea to their mix of unpronounceable chemical filled ingredients and dishonestly call their product "healthy"! As always, buyer beware would apply. All of our creams are filled with only the most health building and natural ingredients. Remember, since urea brings whatever it is mixed into down to the 7 layers of your skin, you want only the BEST ingredients. Please feel free to contact me with any other questions you may have Odette.